District of Nevada (pro hac vice). James M. Burgess is a trial lawyer and partner in the firm's Century City office. Corporate matters involving governance, fiduciary duties, duty of loyalty, mergers and acquisitions, asset purchase agreements, earn-outs, working capital adjustments, and indemnity issues. Workers’ compensation insurance disputes involving claims handling, over-reserving, policyholder fraud, underwriting, payroll audits, uniform statistical reporting, worker classification, independent contractor disputes, and premium collection. Healthcare litigation relating to IPAs, purchase agreements, billing, revenue cycle management, EMR installation disputes, non-competition agreements, employment issues, medical device manufacturing agreements, internal medical practice disputes between doctors. Intellectual Property matters concerning trademarks and trade secrets. Entertainment litigation involving distribution agreements, collection accounts, idea submission issues, copyright, and ADA access to online videogames and other websites. International disputes concerning manufacturing, distribution and collections. Real Estate litigation relating to purchase agreements, development agreements, hotel management agreements, lis pendens, leasing, broker fees, and tenant repair obligations upon termination. Product Defect matters relating to, among other things, lead acid batteries and fire suppression systems for jet aircraft. As trial counsel for plaintiffs or cross-complainants, he has won over $50 million in settlements or judgments for various clients. Fenton v. Balick, 821 F.Supp.2d 755 (E.D. Pa. 2011). Landshark, LLC v. First Look Studios, Inc. (2011) 2011 WL 1360365. St. James Inn, Father Pat Traynor Award for exemplary community service, 2015. Catholic Charities of Los Angeles, Scott and Jean Adam Light of Christ Award for outstanding community service, 2011. State Bar of California, Wiley W. Manual Certificate for Pro Bono Legal Services, 2010. State Compensation Insurance Fund, Nordstrom, Inc., Fox Entertainment Group, Continental Casualty Co., Compwest Insurance Company, Conversive, Inc., Enersys and Lucite International, Inc.
A&J Liquor Co., et al. v. State Fund: Mr. Burgess was trial counsel for State Fund in this certified class action, which involved allegations of premium overcharging due to allegedly excessive reserves set by adjusters. After a seven month bench trial involving over 50 witnesses and 1,200 exhibits, the court entered a judgment in favor of State Fund and against the plaintiffs and a class of over 160,000 policyholders. The judgment was affirmed in full by the Court of Appeal. Westrup v. Nordstrom: He was lead trial counsel for Nordstrom in a 17200 class action that was tried in Los Angeles Superior Court as a representative action. The plaintiff contended Nordstrom collected excess sales tax reimbursements when merchandise certificates distributed pursuant to a rewards program were redeemed. The Court held that Nordstrom did not engage in any unlawful, unfair or fraudulent business conduct and that it collected the proper amount of sales tax. Ronald L. Wolfe & Assoc. v. State Fund: He was lead trial counsel for State Fund in an insurance bad faith case arising out of the cancellation of an insurance policy. The plaintiff sought compensatory and punitive damages. The trial resulted in a unanimous defense verdict in favor of State Fund in the Santa Barbara Superior Court. Ohline Corporation, American Recycling and Wall Units v. State Fund: Mr. Burgess represented State Fund in this class action brought by approximately 25,000 policyholders who sought $40 million in damages. After two appeals, the case was later dismissed by the Court in its entirety, with prejudice, for no payment of money. The plaintiffs' counsel had filed at least 8 similar lawsuits and had never before lost class certification. Other carriers paid many millions to settle similar cases. Acro Constructors v. State Fund: He represented State Fund in this class action brought by policyholders who alleged that State Fund improperly failed to distribute dividends to policyholders. The case was dismissed upon State Fund's demurrer. The Court ruled that State Fund did not have a duty to declare or maximize dividends. State Fund v. Cover-All, Inc., et al. : He represented State Fund in this fraud and collections case. The Plaintiff agreed to pay $6.3 million – the full amount claimed. The corporate defendant also was convicted of insurance fraud. Conversive, Inc. v. Conversagent, Inc.: He was lead trial counsel for plaintiff Conversive in a trademark infringement action. 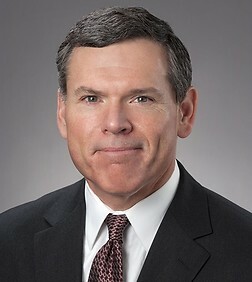 After the Court granted partial summary judgment and issued a preliminary injunction precluding the Defendant from using its top line brand, company name and website domain name, the Defendant settled by agreeing to a permanent injunction, and paying $400,000 in Plaintiff's attorney's fees. Atlas Mill Supply v. State Fund: Mr. Burgess was trial counsel for State Fund in this insurance bad faith case arising out of allegations of claims mishandling and over-reserving. After trial, the jury returneda unanimous defense verdict in favor of State Fund in the Los Angeles County Superior Court. Go Motorboards v. EnerSys: He was lead trial counsel for EnerSys in a product liability case arising out of the sale of batteries to an electric scooter manufacturer. The Court dismissed all fraud claims with prejudice. After the deposition of the plaintiff's expert, the Plaintiff dismissed its entire case with prejudice and agreed to entry of judgment for the full amount of EnerSys' counterclaim. Adding Business Owners To Judgment Got Easier In Calif. Numerous MCLE presentations and speeches concerning strategies for defending against Unfair Competition Law claims, as well as the impact of the federal Class Action Fairness Act. Participated in two televised debates in favor of Proposition 64, which was passed by the voters in November 2004 and significantly reformed the Unfair Competition Law. Legal Aid Foundation of Los Angeles, President (2018-Present), Secretary (2014-2018), Board Member (2013-present). Marymount High School, Los Angeles, Secretary (2012-2016), Board Member (2010-2019). Association of Business Trial Lawyers, Board Member (2009-2013).